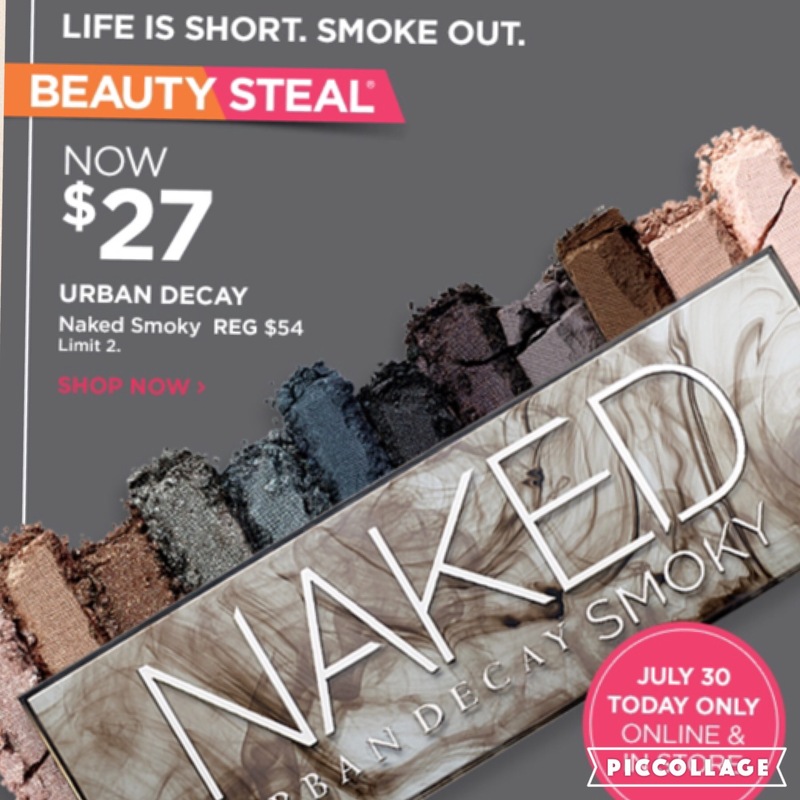 Urban Decay Steal Deal Alert! Today only at Ulta, Urban Decay Naked Smoky eyeshadow palettes are on sale for $27 (reg price $54). That is a huge savings on one of their amazing eyeshadow pallets so if you have been wanting to get your hands on one now is the time. Limit two per person and the sale is available online and in stores. Is this real life? That is the most exciting deal I’ve seen in a long time for one of these palettes. I woke up to find this info and thought I was actually still sleeping and that maybe it was all a dream! But no, it’s totally real. Run get yours before they are all gone!